Turkey's capitalists' organizations have celebrated the victory of President Recep Tayyip Erdoğan and his electoral alliance between the ruling AKP party and the ultra-right MHP party following the presidential and parliamentary elections on June 24, reports the news portal soL. The TÜSİAD statement has offered a reform package to Erdoğan’s government, indicating to a participatory law-making process. Underlining the establishment of law order and freedoms “at the level of advanced democracies”, TÜSİAD has projected a rational economy program and fiscal discipline to resolve high inflation and current deficit. TÜSİAD has also suggested an independently functioning Central Bank structure. 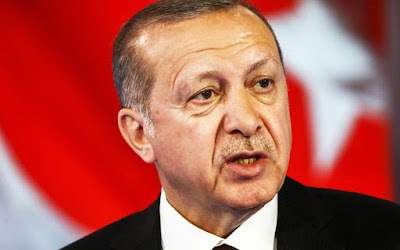 Some circles previously criticised Erdoğan for intervening in the policies of Turkey’s Central Bank particularly over interest rate policy when the Turkish Lira faced a free-fall against foreign currencies. Offering a development project based on digital transformation with regards to the “Fourth Industrial Revolution”, the TÜSİAD press release has pointed out to the “harmonization process with the European Union”. İlhan Erdal, the Independent Industrialists and Businessmen Association’s (MÜSİAD) provincial chair in Ankara, has made a statement regarding the elections. “It is time to further focus on economic reforms and mega projects to take a faster step into our goals,” Erdal has noted. He has argued that democracy and the nation won the elections. 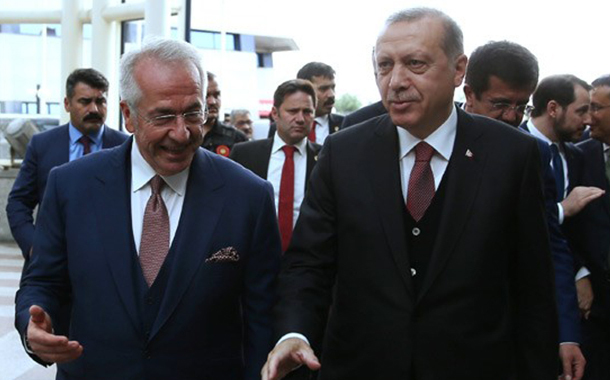 Rifat Hisarcıklıoğlu, the chair of Turkey’s Union of Chambers and Commodity Exchanges (TOBB), became the first capitalist figure celebrating Erdoğan who declared his victory prior to the official elections results. Sharing a Twitter post while the vote counting was still continuing on Sunday night, Hisarcıklıoğlu said, “Turkey has revealed again that it has a strong and steady tradition of democracy with the elections with high turnouts. The nation has decided.” The TOBB chair celebrated Erdoğan and his new presidential system. President Tayyip Erdogan with the head of the Turkish Industry and Business Association Erol Bilecik. Some other business and enterprise associations and organizations have also celebrated Erdoğan and his government. The chair of İstanbul Chamber of Commerce (İTO) has said that Turkey will reach the vision of 2023 under the lead of Erdoğan. The year of 2023 will mark the centenary of the foundation of Republic of Turkey as Erdoğan vows to ensure a “more powerful” Turkey in the next five years as part of his party’s future prospect. The chair of Ankara Chamber of Commerce has argued that the nation elected Erdoğan despite “all sorts of global economic plots”. He has stated that “the nation ruined the chaos scenarios” at elections in resonance with Erdoğan’s rhetoric that all the world has conspired against his government although his party has had strong ties with Western capitalists and monopolies considering that Erdoğan boasts about “ruling the country like a CEO”. Claiming that Turkey will be among the top ten economies of the world under the lead of Erdoğan, most of the Turkish capitalist organizations seem very pleased with the election results with the aim of growing their richness while the working people are forced to survive in poor living standards, low payments, long working hours and severe exploitation under the rule of AKP government. On Monday, Sadi Güven, head of the Supreme Election Council (YSK), said that with 99.2 percent of ballot boxes opened, Erdoğan won an absolute majority in the presidential election with 52.5 percent of the vote. In the parliamentary polls, along with the utra-far Nationalist Movement Party (MHP), the Justice and Development Party's (AKP) election ally, the People's Alliance won 53.6 percent of the votes, with 99.1 percent of ballot boxes opened.